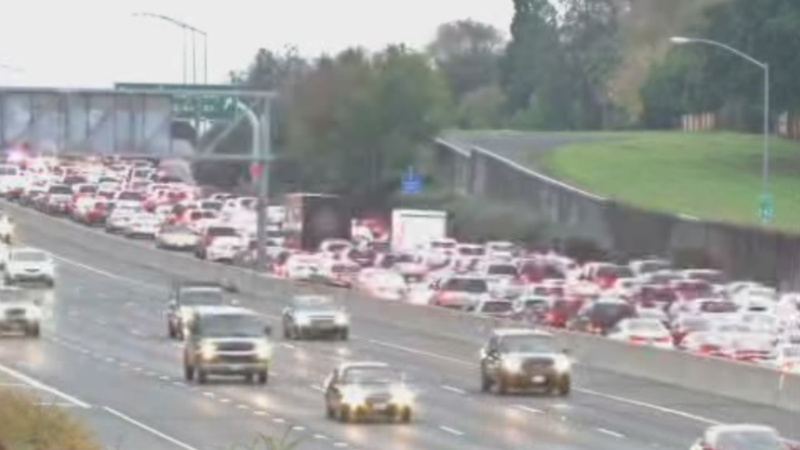 CONCORD, Calif. (KGO) -- Police officials said this afternoon that state Highway 242 in Concord has been reopened following a shooting that left a man with multiple gunshot wounds. Calls came in at about 3:45 p.m. today regarding a shooting on the southbound lanes of Highway 242 between the Grant Street and Concord Avenue exits, according to police. Police initially indicated the reports described gunfire as being exchanged but later clarified that the shooting only came from one direction. Shortly after receiving reports of the incident, a male victim suffering from at least two gunshot wounds appeared at John Muir Medical Center in Concord, Cpl. Christopher Blakely said. The man was later transferred to the hospital's Walnut Creek location because the Concord location does not have a trauma center, Blakely said. Blakely said the man is in stable condition and is expected to survive. Police have limited suspect information. But the suspect may have been driving a silver SUV, Blakely said. Southbound lanes of Highway 242 in Concord were closed after the incident, Blakely said, as investigators wanted to preserve evidence such as shell casings. Blakely said that those lanes were reopened at around 6 p.m.